Therapy do for my child? "Helping Kids Succeed: Addressing Slow Processing Speed in a Fast-Paced World"
What can Educational Therapy do for my child? 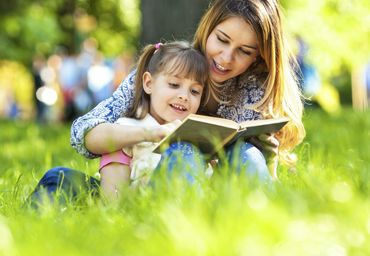 Educational Therapy offers children and adults with learning disabilities and other learning challenges a wide range of intensive, individualized interventions designed to remediate learning problems. How Do I Become an Educational Therapist? Join the AET Facebook Group to be notified of upcoming events, discover the latest news, and connect with other members. 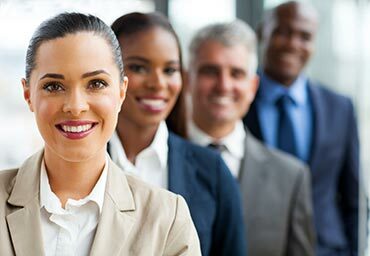 Network with other Educational Therapists and professionals in the AET professional group on LinkedIn. Not a member of Facebook or LinkedIn? Join our Yahoo Group for member updates and AET news. Log in to view additional resources! Find the member directory, practice forms, The Educational Therapist journal, and more. Have you uploaded your picture? Log in to update your member profile for the referral directory. The Certification Video is now available to members for streaming. 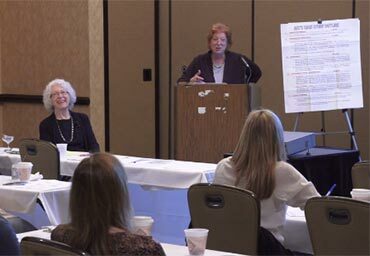 Log in to the Members’ Center to purchase a link to the video that explains the essentials of fulfilling the Case Study requirement for Board Certification. 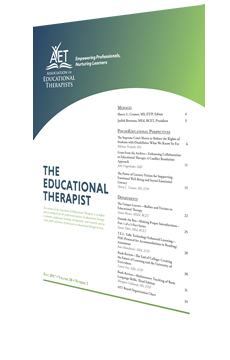 Read this month’s featured article from The Educational Therapist journal, "A Book Review of The Clinical Practice of Educational Therapy: Learning and Functioning with Diversity 2nd Edition by Carolyn Patterson, MA, BCET. " The Association of Educational Theraptists is here to help you find a Board Certified Educational Therapist (BCET), an Educational Therapist/Professional (ET/P), an Associate Educational Therapist, or an Allied Professional member of the association in the United States or Canada.